Thinking about moving to Cozumel? Already live here, but are having problems figuring out the system? Either way, this is the book for you. Our island has been attracting Americans ever since 1837 when the Navy of the Republic of Texas raised its flag over the little village of San Miguel in Texas’ first attempt to annex the island. From the early colonizing schemes attempted by folks like George Fisher (1841), Texian President Sam Houston (1842), American President Abraham Lincoln (1862) and land promoters like American Claude Goodyear (1874), all the way through to today’s time-share and condominium ownership plans, Americans have flocked to Cozumel in their search for a new life in paradise. 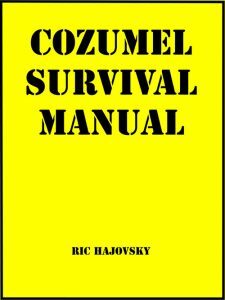 The islanders have always welcomed newcomers and go out of their way to make allowances for people who do not understand Cozumel’s laws and customs, but to really get the best out of living here you must try to learn the rules, if not the language. This book is designed to help you learn what you need to know to live happily on our island and avoid many of the common pitfalls that seem to trip-up many new arrivals.